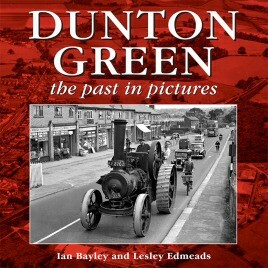 Containing over one hundred and twenty photographs of Dunton Green from the last one hundred years, this book allows you to step back into the past and visit the place where villagers worked with their hands digging clay for bricks and where they later froze food for other people's tables. Unfortunately, due to sales rights restrictions, we cannot offer Dunton Green for sale in your country. Containing over one hundred and twenty photographs of Dunton Green from the last one hundred years, this book allows you to step back into the past and visit the place where villagers worked with their hands digging clay for bricks and where they later froze food for other people's tables. It invites you to sit in the sun by the Lido or to take a dip in its cold clear waters, marvel at a motorcar that ran on rails, and even discover a place so secret that it never appeared on any map! With an introduction from Fergus Anckorn, a celebrated war hero who himself grew up in Dunton Green, wonderful photographs and informative text, this book not only shows the village through the years but tells you some of its history.